Jake got back behind the wheel of his #0 car after sitting out with an illness for the past several weeks. He strapped in at the Arizona Speedway in Queen Creek, AZ this and started 10th in the main event and wheeled his way through the field to pick up the IMCA feature victory for his efforts. Results can be found at www.ArizonaSpeedway.net. Our King of America weekend was up and down for sure. Thursday and Friday night, we had great nights, showing a lot of speed, winning a heat race and earning the outside of the front row in the feature by virtue of accumulating the second highest amount of passing points on the two qualifier nights. Saturday night, we rolled off the front row of the feature and were in contention early, but ended up hitting the inside berm of the track and folding the nose under. We went into the pits and fixed it before coming back out and suffering a flat tire, ending our run and chance at the $12,000 payday. Overall, we are happy with the speed we have in the car and are looking forward to the Mississippi triple-header next weekend. Results can be found at www.USMTS.com. 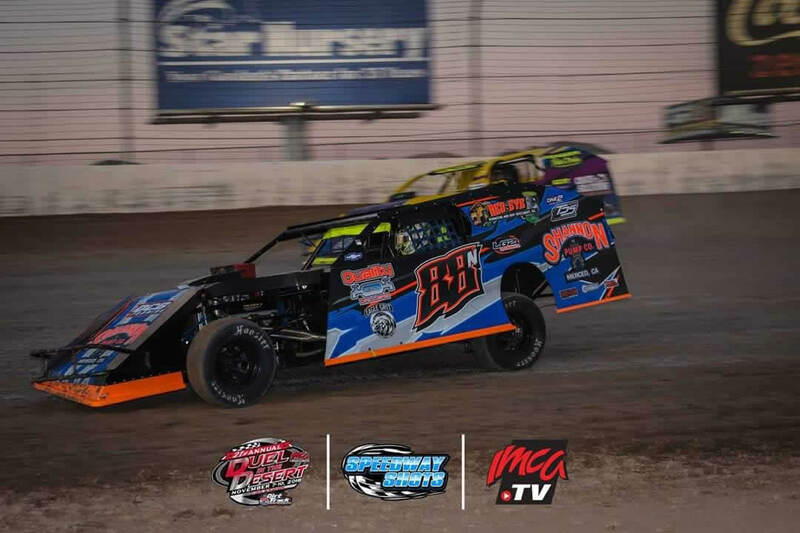 Rancho Milagro Racing, located in Taos, New Mexico has come on board to support the 2018 USMTS Rookie of the Year in his quest to chase victories across the country this season. Jake and the entire O'Neil team would like to welcome and thank Rancho Milagro for their support in 2019. 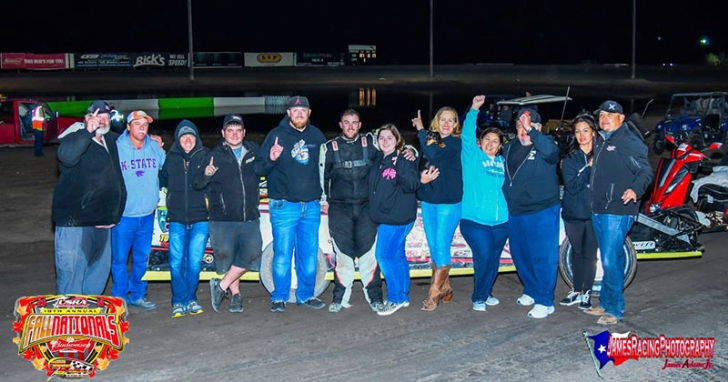 Jake and Nick both continued their early season schedule as he participated in the 7-race Arizona Mod Tour, which took place at 4 cities across the state of Arizona during the early part of February. 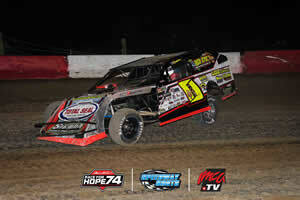 The series kicked off on February 8th at the Arizona Speedway in Queen Creek, AZ. 92 IMCA Modified competitors checked in for action on the opening night of the tour and Jake had a rough start to the tour, not able to make the start in either his heat or b-main due to mechanical issues. Nick had a better outing, finishing third in his heat race and coming home with a fifth place finish in his b-main. 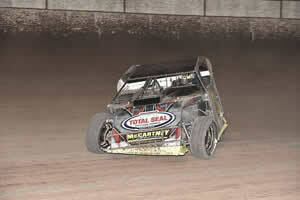 The tour continued on February 9th at Arizona Speedway with another stout field of competitors in action. Nick ran sixth in his heat race and then made his way forward to a fourth place finish in his b-main, Jake got back up to speed with a 9th to 2nd run in his heat race, putting him outside of the third row for the main. 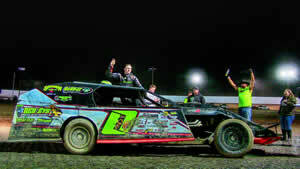 During the feature, he was able to get up to 2nd quickly and came home with a solid runner up finish in the main event. Sunday night, the tour moved to the Central Arizona Speedway in Casa Grande, Az and Jake again had a great night, winning his heat race from his 6th starting position and then coming home with his second straight runner up finish in the main event after starting on the outside of the third row. Nick also won his qualifying heat race and then made his way forward from his 12th starting spot to an 8th place finish in the night's main event. Night #4 of the tour was held Monday night at the Central Arizona Speedway and Jake ran second in his heat race before racing forward from his 11th starting position to an 8th place finish when the checkered flew. Nick ran fourth in his heat race, then came home with a runner up finish in the b-main and, after starting 21st in the main, moved ahead to post a 19th place finish when all was said and done. 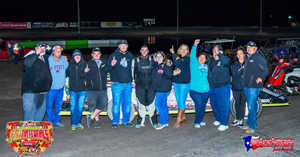 After a night off, the tour moved to the Canyon Speedway Park in Peoria, AZ for the fifth leg of the week-long mini-series with Jake passing a ton of cars en route to his top five finish. After he raced from 10th to 7th in his heat race, he then charged from 8th to 3rd in the b-main, qualifying for the 22nd starting spot in the main event. From there, Jake put on a show, slicing and dicing through traffic to come home with an impressive fifth place finish. Nick also qualified for the main event by finishing second in his heat race, but after starting 14th in the main, he elected to retire early on the tricky racing surface, ending with a dnf. After practice night at the newly re-opened USA Raceway in Tucson, AZ was rained out, night #6 kicked off with Jake winning his qualifying heat race from the pole and then charging forward in the night's main event from his 12th starting spot to post a fifth place finish. Nick had his bad luck return as he failed to finish his heat race and then scratched from the night's b-main. 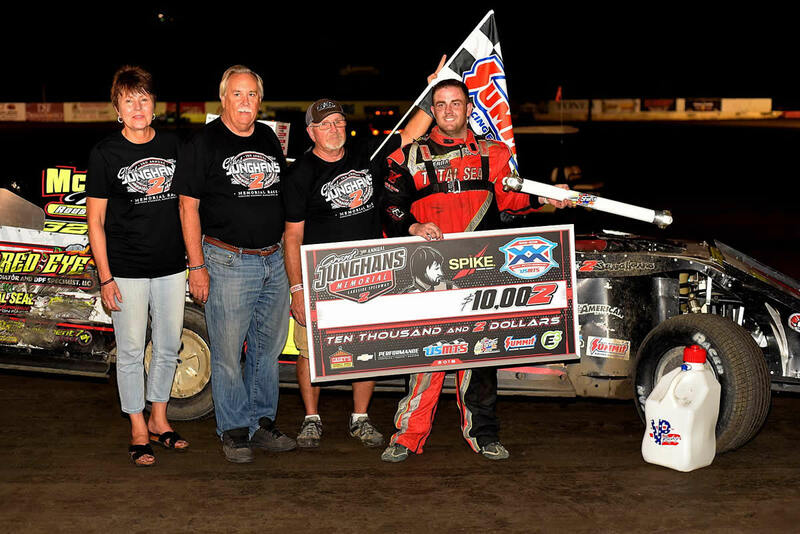 The 7th and final night of the tour was back at USA Raceway and saw Jake pick up the win on the final night of the tour after a fourth to first run in his heat race and then a fifth to first run in the night's main event to claim the $1,500 top prize. Nick also had a great final night of the tour after racing from 10th to 3rd in his heat race, he started 6th and settled in with a fifth place finish to cap off a successful week-long tour. 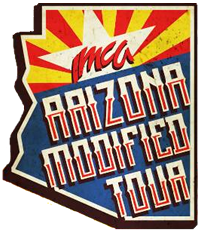 Results can be found at www.ArizonaModTour.com. The 2018 season saw Jake and Nick O'Neil compete in a total of 65 events with Jake captured wins aboard his O'Neil Brothers Motorsports #0 LG2 Modifieds by Jimmy Owens/ Cornett Racing Engines Modified. With the weather determining the outcome of eight of their scheduled dates, the duo collected 43 Top-10 outings and 28 Top-5 finishes. 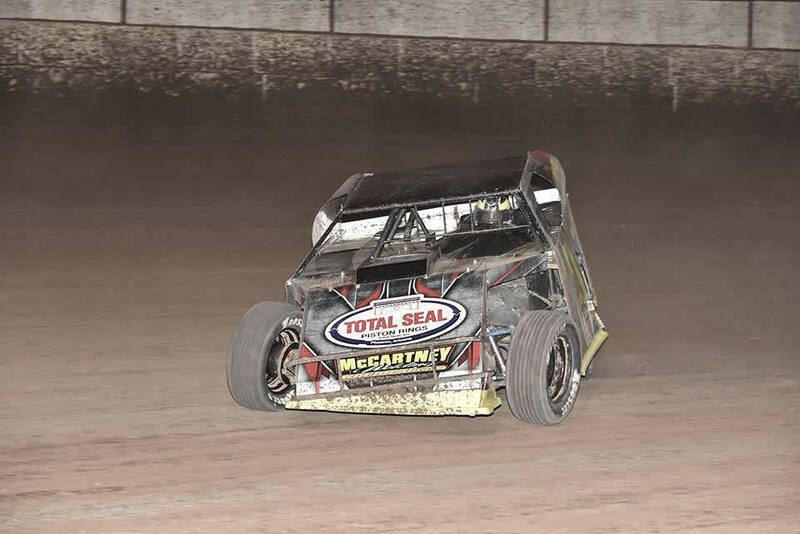 For the second weekend in a row, Nick was behind the wheel of a Shannon Motorsports ride at the Central Arizona Speedway in Casa Grande, Arizona for the annual Desert Thunder Nationals. Friday night, Nick won his heat race from the pole and then after redrawing 12th for the main event, he drove up to a solid third place finish. Saturday night, he started 7th and raced his way up to 2nd in his heat race before redrawing 8th for the main and again, charging up to a solid third place finish. Sunday's finale saw Nick win his heat from his fifth starting position and then race forward from his 10th starting spot to come home fourth when the final checkered flag of the season flew. All in all a great weekend with three top five finishes. Thanks to Chris, DJ and everyone with Shannon Motorsports for the help this weekend! Results can be found at www.CentralArizonaSpeedway.com. Thursday night, Nick ran up front, but eventually ran fourth in his heat and third in the b-main, missing the feature. Friday night, he ran third in our heat, then came home second in his b, making the main and then moved forward from 27th to 21st in the feature. 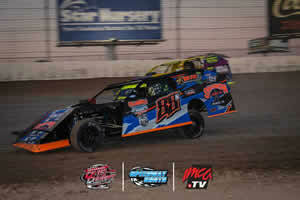 And Saturday, he won his b-main from 4th, locking him into the main event. From there we started 23rd and finished 21st on a hard to pass on racing surface. A huge thanks to the Shannon family for all their help and efforts this weekend. We really appreciate it. Thanks to all of our other sponsors and everyone else that helps as well! Results can be found at www.SNMSpeedway.com. Jake made the trip to the Batesville Motor Speedway in Batesville, Arkansas this past weekend for the Hope for 74, $20,000 to win IMCA Modified event. After a long week, Jake was one of the 28 drivers to qualify for the 74-lap main event, eventually finishing 17th out of the 28 starters in the feature.